Note: The update can be performed only when the remaining battery level is (three marks) or more. We recommend that you use a fully charged battery or the AC adapter AC-PW20AM (sold separately). 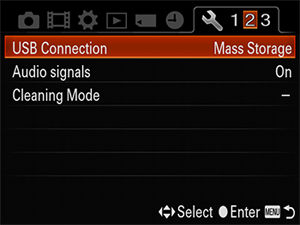 When performing the firmware update, please use a fully charged rechargeable battery pack NP-FM50H or the AC adapter AC-PW20AM (sold separately). The download of the [Update_SLTA57V104.dmg] file will start. 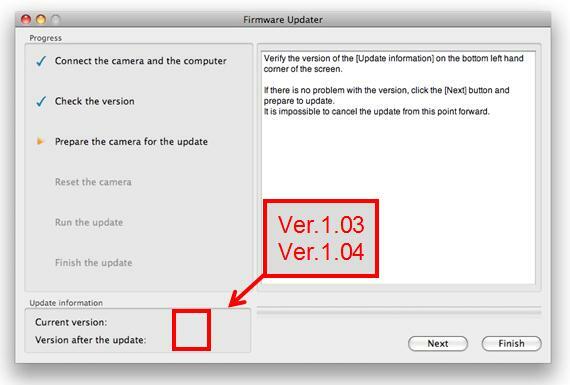 Double-click the [Update_SLTA57V104.dmg] file you downloaded to start up the Firmware Updater. 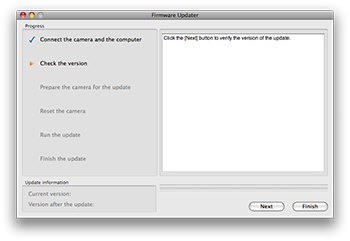 The Firmware Updater MAC appears. 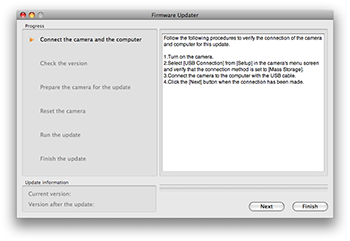 According to the instruction on the Firmware Updater MAC, select Menu --> Setup --> USB Connection on the camera, and check if Mass Storage is selected. 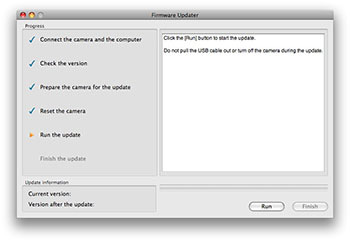 Click Next on the Firmware Updater MAC. 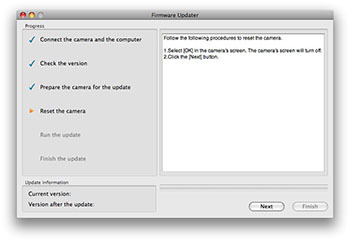 Figure 4 appears on the Firmware Updater MAC, and Figure 5 appears on the LCD screen of the camera. 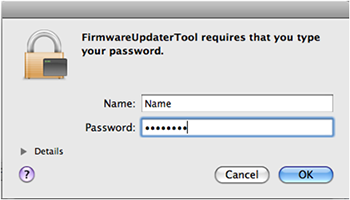 Click Next on the Firmware Updater MAC (Figure 11). 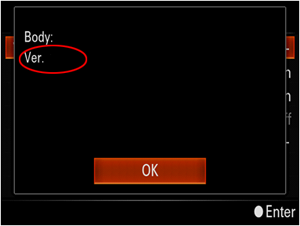 to start the update. The progress bar appears while updating (approximately 5 minutes). 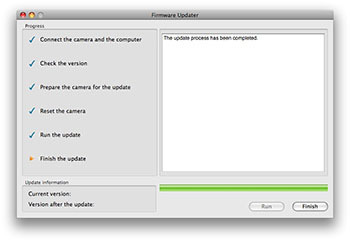 When the update is completed, the screen on Figure 13 appears. 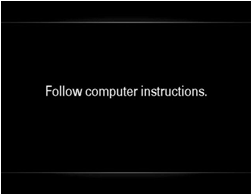 Click Finish and disconnect the USB cable. 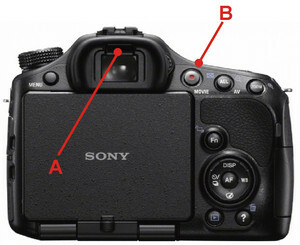 Note: Turn off the camera, remove the battery pack or the AC adapter, reinsert the battery or reconnect the AC adapter and turn on the camera.